Streams of the River: O Radix . 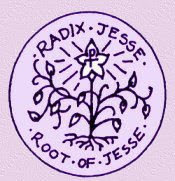 . .
O ROOT OF JESSE, who standest for an ensign of the people, before whom kings shall shut their mouths, to whom the nations shall seek: Come and deliver us and tarry not.